What the heck is a swinging bed? 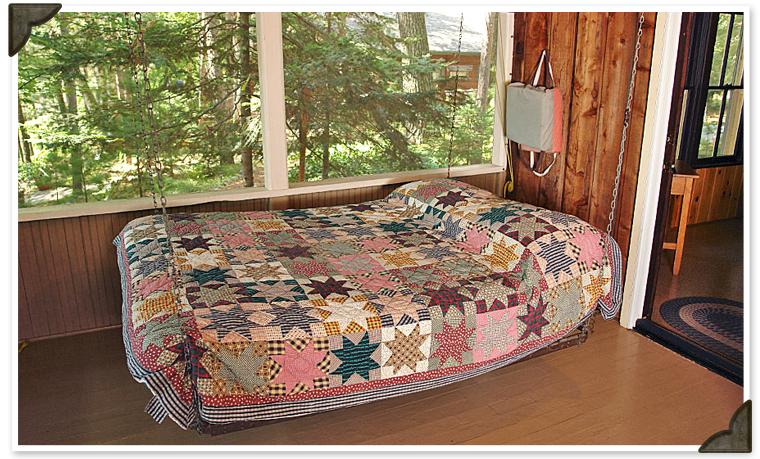 The Black's Cliff famous swinging bed, as you can see, is an actual double bed with strong chains attached to each corner of the bed frame and secured safely to the porch ceiling. Swinging beds are great for a deep night's sleep or an afternoon nap, as long as you can get the kids off of them.